Fig. 2 General structure of the monomeric unsymmetrical cyanine dyes (top), and the homodimeric cyanine dyes TOTO and YOYO (bottom). as dimer. With several sequences, the dimer complex was found to have lower fluorescence than the bound monomer. By fluorescence polarization measurements of TOTO-DNA complexes, evidence for external binding was obtained. 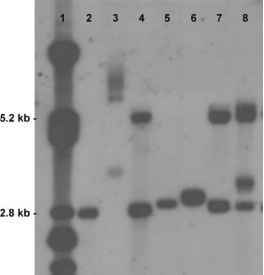 In hole-burning studies, external binding of TO-PRO-3 to DNA was revealed. Atomic force microscopy and viscometry studies support the notion that TO and in particular TOTO bind in more than one mode to DNA. Clearly, the interaction of cyanine dyes with DNA is complex and yet far from fully understood. Most cyanine dyes have strong affinity also for single-stranded DNA and obtain high fluorescence upon binding. [13,17] This makes them less useful as specific probes for double-stranded DNA. Similar affinity for single- and double-stranded DNA is typical of intercala-tors of low complexity that mainly gain binding energy through stacking with bases. Minor groove binders, on the other hand, typically show strong preference for double-stranded molecules. In recent years, some symmetrical cyanine dyes have been found to bind in the minor groove. Seifert et al. showed that the symmetrical pentamethine cyanine dye 3,3'-diethylthiadicarbocyanine (DiSC2) (Fig. 4) cooperatively binds as head-to-head dimer in the DNA minor groove forming helical H-aggregates. Mikheikin et al. showed that a series of trimethine symmetrical cyanine dyes, e.g., DiSC2, bind in the minor groove mainly as monomers. These studies suggested that the hydrophobicity of the heterocyclic group is a critical determinant for dimerization. Recently, Sovenyhazy et al. showed that the trimethine cyanine dye TO-PRO-3 (Fig. 4) cooperatively binds in the minor groove of poly(dA-dT)2, although it has previously been considered to mainly intercalate in DNA. A characteristic of classical minor groove-binding ligands such as Hoechst 33258 and DAPI is its crescent-shaped molecular structure. To improve the preference of cyanine dyes for double-stranded DNA, Karlsson et al. [22,23] designed a series of crescent-shaped unsym-metrical cyanine dyes based on the BO and TO chromophores (Fig. 5). Flow linear dichroism, circular dichroism, and electrophoresis unwinding measurements revealed that these dyes prefer minor groove binding in mixed sequence DNA. Like the intercalating dyes, the minor groove binders exhibit large increase in fluorescence upon binding (Table 1).